Today is July 30- celebrated as International Day of Friendship. It was declared by the General Assembly of United Nations in 2011. Last year in 2015, we had started our celebration of the Rasgulla Day or Rasagola Day i.e. 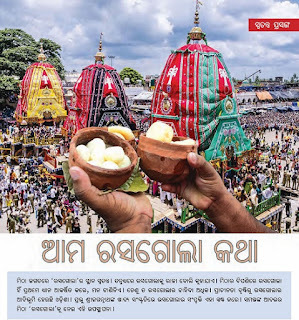 #RasagolaDibasa on this very date July 30th as it happened to be 'Niladri Bije' - the last day of the Rath Yatra. Many don't know about Niladri Bije- this centuries-old tradition of the Jagannath Temple, Puri, Odisha, India where Lord Jagannath offers His wife, Maa Lakshmi Rasagolas and then only He is granted entry inside the Temple after He arrives from His journey with His siblings! 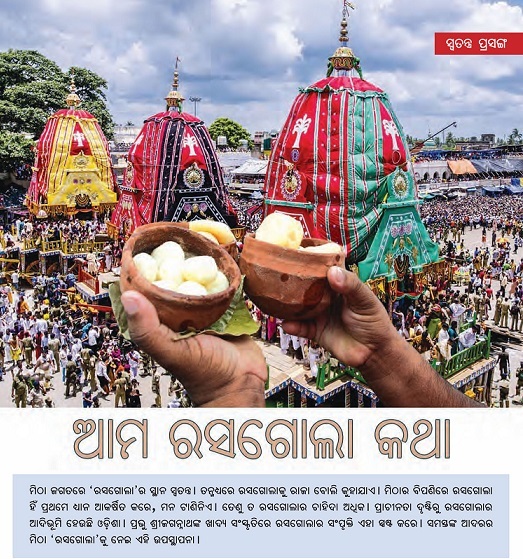 Niladri Bije is the day when devotees offer Rasagolas to Lord Jagannath. This year, Niladri Bije was on July 17th and we celebrated the 2nd Rasagola Day with great happiness. July 17th 2016 was a Sunday. Sundays are reserved for Raahgiri in some Indian cities like Bhubaneswar. On Raahgiri Sundays, a fixed stretch of road is cordoned off and kept traffic-free. Public is free to reclaim the street & walk, cycle, skate, paint, exercise, sing, dance & participate in Raahgiri events that are held on that particular road. Bhubaneswar Municipal Corporation (BMC) accepted our proposal to have Rasagola as the theme on July 17th 2016 -the 27th edition of the Raahgiri and felicitated us for proposing the same idea for Raahgiri. BMC implemented our idea to invite Rasagola sweetshops to demonstrate the process of making Rasagolas and to inform the public. There were participants from the famous Rasagola-makers in Pahala, an area between the twin cities of Bhubaneswar and Cuttack in Odisha, India. 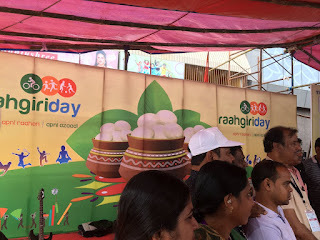 Our company participated and conducted many sweet activities on Raahgiri. We were in action on the road and had great fun conducting the events like- open-quizzes, talent show, #SelfieWithRasagola and inviting participation from all for the sweet activities. Guess what were the prizes? Rasagolas! 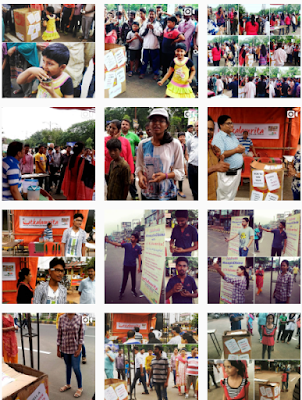 The prize tempted many to overcome their jitters and take part and earn their Rasagola! People shared their sweet memories. Some spoke a minute about sweet Rasagolas! Others sang sweet songs or danced. Some others narrated sweet jokes, while a few attempted tongue-twisters that brought sweet smiles! It was an icky atmosphere with a lavish treat of sweetness that was sentimental. 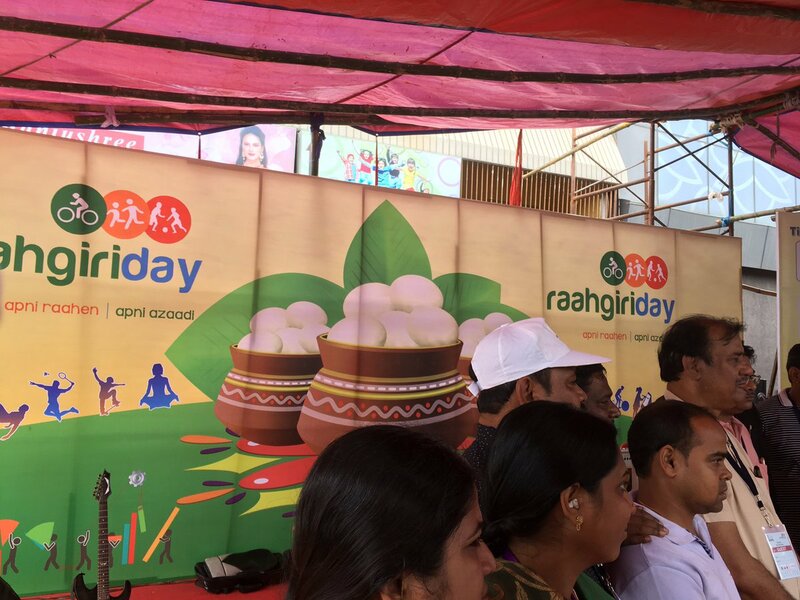 These were the sweet memories of the second Rasagola Day celebration on the first date anniversary of the event! Many are still not aware of Rasagola's Odia origins and that Rasagola was born in Odisha and that Odisha, India is the birthplace of the Rasagola. Rasagola was born many centuries ago in Odisha, but it's loved all over the world now! Great that this King of Sweets has a day for itself! But, there are celebrations with the Rasagola everyday! Now, you tempting me to have Rosagola and it's so mouth watering, Anita. I love the idea of celebrating Rosogola. Good & sweet things must be celebrated. A wonderful event to honor one of the most precious things in life.